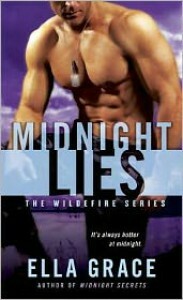 Ella Grace’s MIDNIGHT LIES is the second book in her Wildefire series. It’s not necessary to read the first, MIDNIGHT SECRETS in order to enjoy MIDNIGHT LIES. Grace does touch upon a few events that occurred in Secrets, but I don’t see them as spoilers. Samantha Wilde and Quinn Braddock can’t keep their hands off each other and sparks flew the moment they made eye contact. For Samantha the relationship with the ER doctor works just fine because she often works odd hours due to her job as a police officer. Quinn can’t believe he’s found a woman worthy and one that makes him believe in love. Quinn receives a call from his ex-wife and he loathes her calls, but when she mentions she’s willing to give him an item he’s been wanting, he figures it will be a quick visit. Unfortunately, he doesn’t anticipate finding his ex murdered and becomes the number one suspect. Samantha is devastated when she learns of Quinn’s predicament because it just proves you can’t ever know a person. Years ago, her own mother was killed by her father and she knows first hand about secrets. Still she works to prove his innocence, but when Quinn wants nothing to do with her, she heads home to Midnight broken hearted. Quinn realizes his mistake and tries to make amends, but she doesn’t want anything to do with him. When a local Midnight resident is found murdered, Quinn is once again a suspect and it’s up to Samantha to stand by him and prove he isn’t a killer. Character development is good though at times Samantha came off as ditzy. She’s supposed to be a trained police officer and yet she’s able to be captured by the killer. When she tries to out run him and fails, I wasn’t surprised. I expected her to be more adept with regards to being able to spot the killer. I mean she does have a law enforcement background and opened up a security agency. Why disregard her personal instincts? As for Quinn, he’s had a difficult childhood and when his past is explained, you wonder how he survived. I wanted to know more about his time in the military and in Iraq other than the brief info we are given. Also, we’re told he’s a good doctor, but I would have liked to have seen him in action at the hospital. The real treat of MIDNIGHT LIES is the relationship between Samantha and her sisters. I loved getting to know Savannah and her husband Zach. We don’t get much of Sabrina, but I can’t wait read to her story. Plus there’s a few Midnight town residents that are a real hoot! I liked Grace’s MIDNIGHT LIES, but the constant ping pong relationship between Sam and Quinn drove me crazy. One moment things were great and the next, she was calling it quits only for things to be peachy again. I wanted Quinn to finally open up and share his feelings with her. I realize he was being cautious because he made a wrong choice with his first wife, but after being accused of murder twice, I would have expected him to be more willing to communicate. Sam’s indecision of loving him to not wanting him and getting jealous because he gives another woman the time of day, grew old. It just became frustrating especially since it was dragged out. It felt at times as if Grace needed them to go through the motions to fill the plot. As for the identity of the murder, I had my suspicions on who it would be. I had two theories regarding that person. Some things regarding Quinn’s past didn’t make sense and even when everything is revealed, I still had questions. I’m just happy my theory played out. 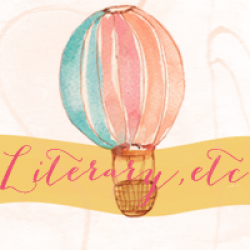 Overall, Ella Grace’s MIDNIGHT LIES was a satisfactory read. I’m looking forward to the third book series and in the meantime I’m going back to read MIDNIGHT SECRETS.